SEPI distinguishes itself from our competitors by truly embracing diversity and inclusion as part of Our Values & Team Culture. But are we doing all we can? The SEPI Diversity Committee was formed in the Fall of 2018 to evaluate SEPI’s current policies, practices, culture, and activities and develop recommendations to improve our attraction and retention of diverse employees and further promote a welcoming culture of respect and curiosity. Diversity Committee leader Michelle Suverkrubbe, AICP says “It means a lot that Sepi, our President/CEO, is involved in the Diversity Committee and recognizes the value of inclusion. When leadership promotes the message, it goes a long way to help integrate diversity into company culture. We want to encourage a welcoming environment for all employees. It’s also good business to have a diverse team, not only to have fresh perspectives but to attract and retain employees. We are a team, a family, and not everyone will have the same thoughts or agree on everything, that’s the point of different viewpoints. But we want everyone to feel that their voice is heard, that they are appreciated and respected, and to feel comfortable being themselves at work. SEPI’s Diversity Committee will continue to evaluate how company policies and culture can embrace and support all employees regardless of race, ethnicity, class, gender, age, sexuality, gender identity, ability, educational attainment, spiritual beliefs, creed, culture, tribal affiliation, nationality, immigration status, political beliefs, and veteran status, among others. 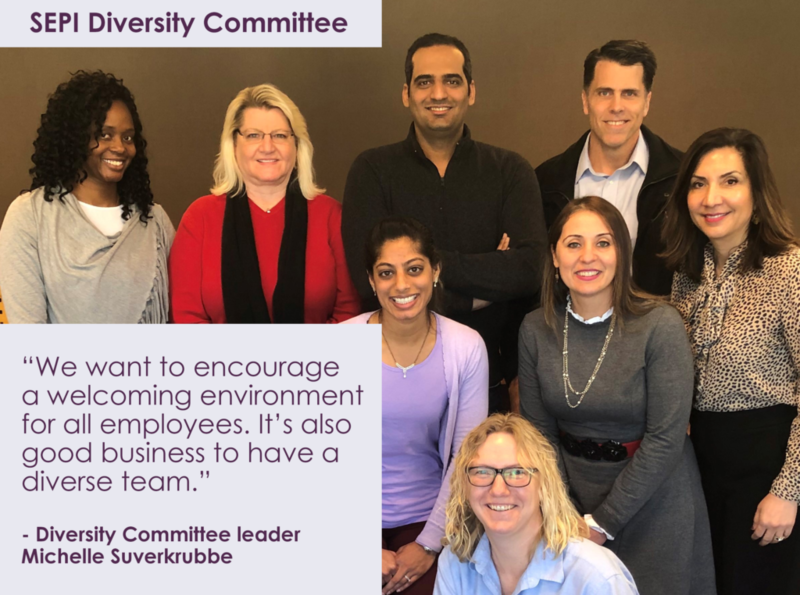 For example, during “Embracing Diversity” training with employees, SEPI staff discussed what the topic means, why it is important to company success, and what SEPI could do to further embrace diversity. The following is a summary of what was shared by participants in the sessions held in Charlotte, Raleigh, and Wilmington. 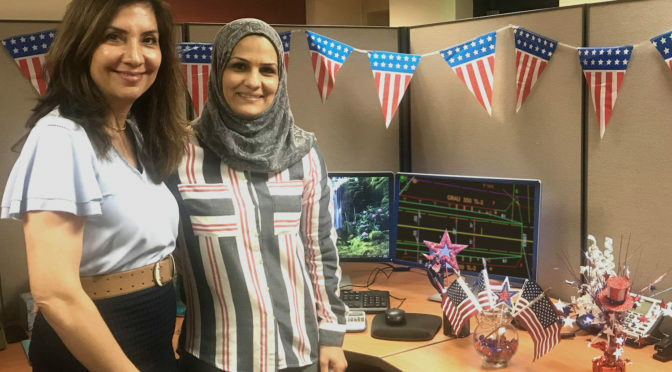 In your words: Why is embracing diversity important to SEPI’s success? Creates a safe environment to express yourself fully and have everyone’s voice heard. Contributes to stronger teams where everyone feels what they do matters. When people aren’t able to bring their whole selves to work, it creates discontent and impacts productivity and quality of work which impacts profitability. Let’s face it, we are all different so why not embrace it. It is the right thing to do. Attracts more customers and opens greater possibility to the projects we take on. We are a growth company and embracing diversity is dependent upon attracting more clients and employees. Exchanging ideas and knowledge leads to better solutions. Getting a wide range of ideas and solutions leads to better operational and financial results. Everyone has an opportunity to be involved in decisions – not just a few. It creates an environment where you feel that others have your back. Greater involvement leads to building ownership. Tapping the knowledge and experience of everyone leads to stronger best practices and long-term success. It gets us out of our business as usual, often rushed way of doing things and allows new ideas and innovation to flourish. Brings people with a wealth of experience to the table and minimizes the possibility of getting burned or not getting it right. Makes us more attractive to a wider client base when they see the diversity of ideas, services, and people. It increases retention as people don’t leave jobs where they feel welcome and accepted for who they are. If we are more open to a more diverse talent pool, we are able to attract and hire top people that other companies overlook. Embracing diversity is part of our brand when we live the values described on our website and can attract best talent. We are able to come up with robust solutions by unleashing the creativity of everyone. What can SEPI do to be more inclusive and embrace diversity? The relaxed dress code is a great example of a small thing that allows people to express be more like themselves. Great decision!!! Allow for more time for people to come together and share. Continue to keep the focus on diversity. We do a good job asking for peoples’ input and ideas. What may help is having people see how their ideas impacted final decisions and/or direction. Use social media to showcase our culture and ways that we embrace diversity. Using international food themes as a part of our lunch and learns and other meetings where food is provided.